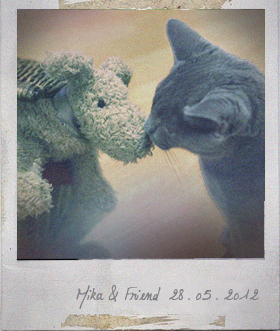 I haven’t done much cooking, and I haven’t played much with my cat (sorry, Mika). I shouldn’t forget what I like to do. Add the spaghetti to lightly salted boiling water, cook until al dente (keep 2 tablespoons of pasta water). Add the cooked spaghetti and 2 tablespoons of pasta water in the frying-pan, toss well. Sprinkle with the grated lemon zest and chopped parsley. 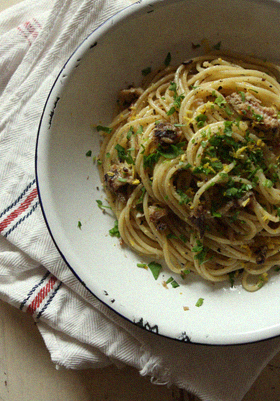 You are currently reading Spaghetti with Sardines & Lemon at Fish Trip Cafe.